Gigantic arena rock band Kings of Leon are to perform an outdoor gig in Dubai. In what must surely be one of the final big gig announcements of the season, the band of brothers (and one cousin) will take to the stage at Atlantis the Palm on Wednesday May 28. 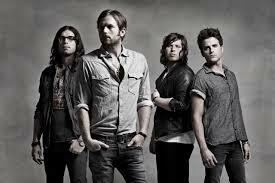 Superstar rock band Kings of Leon are coming to Dubai and are playing Live@Atlantis this May. This show is not to be missed, they will be playing all their crowd favourites, plus songs from their latest album “Mechanical Bull”. This entry was posted in Uncategorized and tagged gigs Dubai, Kings of Leon, live in Dubai. Bookmark the permalink.